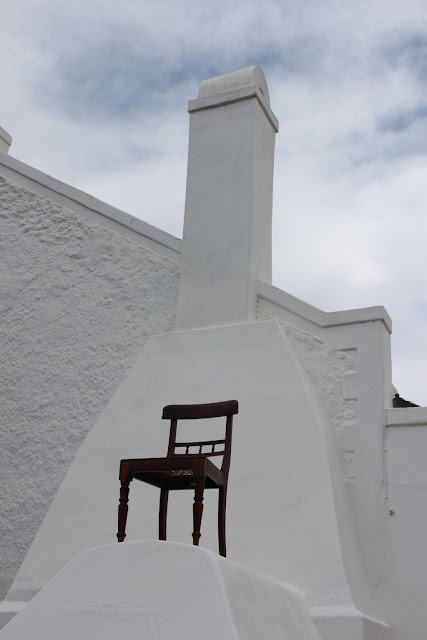 We were excited by the new development of finding ‘signed chairs’ to the point that I had to write a blog post on the event, “The Cape came home in bubble-wrap”. Through the post I was contacted by two persons who also had stamped chairs. After sharing the information with the reader from George, he sent me photographs of the chairs that he was restoring. 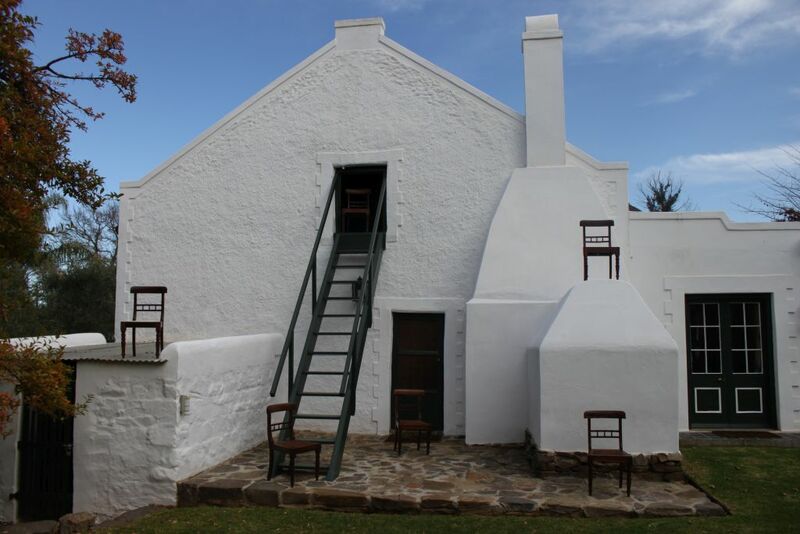 The six dining chairs were clearly marked ‘BW van Dyk’. The stamped name was accidently discovered in the cleaning process when the years of old polish was stripped back. The stamp on the back of the chairs. An extraordinary co-incidence was that he searched the internet for information just shortly after my aforementioned post was published. 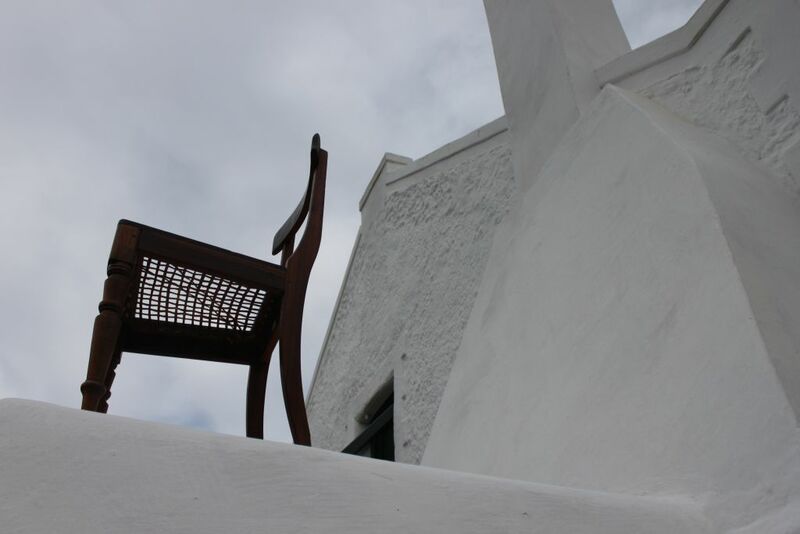 After making contact, the owner sent photographs of the cleaned chairs. It was amazing to see the six stamped BW van Dyk dining chairs. 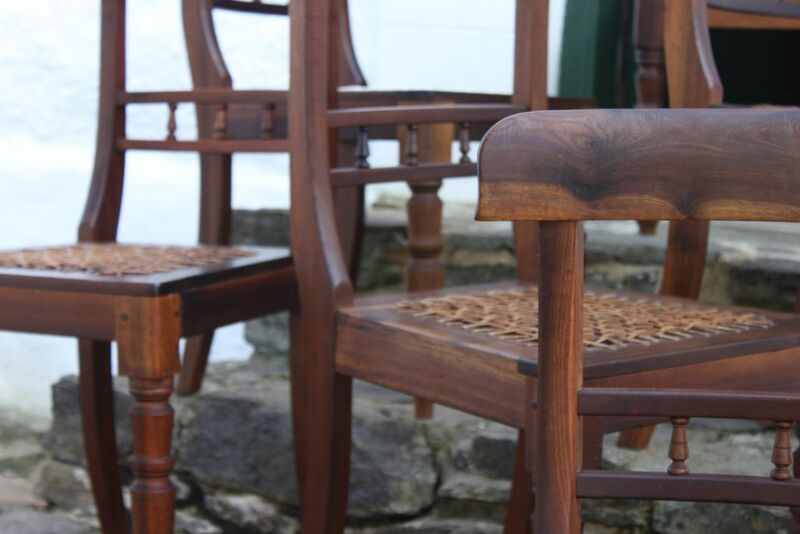 The opportunity to find a set of six stamped dining chairs made in Robertson is rare. 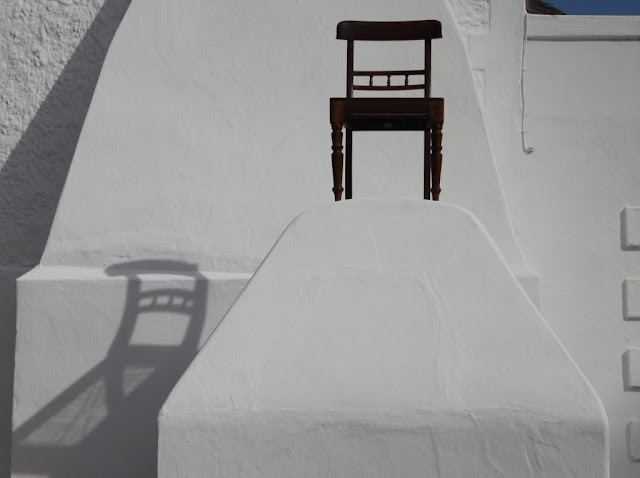 They matched our two carver chairs. I asked him to give me the first option to buy the chairs should he ever consider selling them. More than a year passed and I had dismissed the thought of ownership when the owner contacted me indicating that he might consider selling the chairs. I informed him that I was still interested in buying them and made arrangements to view them in George. After the arrangement, Keith informed me that he would be attending a meeting in Cape Town after which he would be able to accompany me. 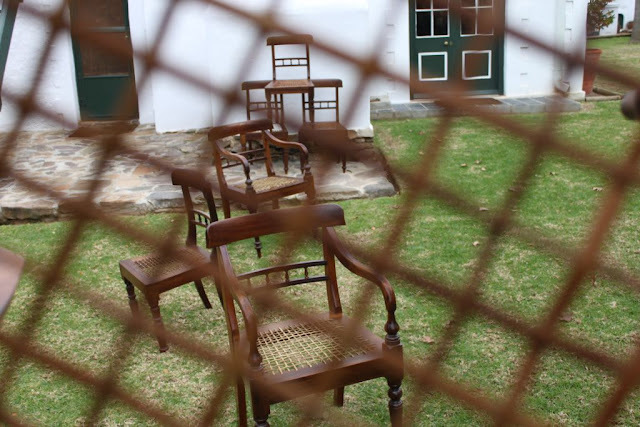 Physically seeing the chairs was most satisfying. The chairs were clearly older than a hundred years and some were in need of minor restorations. Most of the chairs were intact with their original riempie (thong) seating. 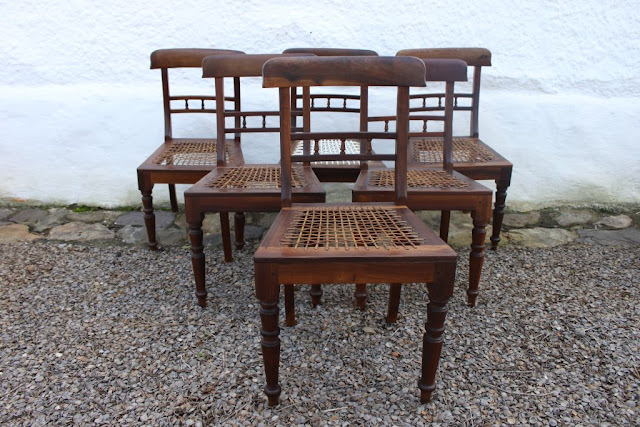 All the chairs had their three trade-mark spindles in the centre back twin-rail. 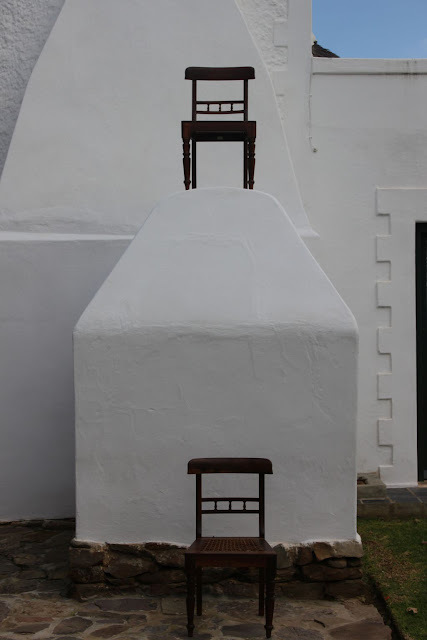 After brief negotiations we bought the chairs and loaded them in the bakkie. Before leaving George, we bought bubble-wrap to ensure their safe transit over the 240km journey to Towerwater. The chairs clearly came from a loving home and I felt sorry to take them away. However, knowing that they were going home to be re-united with the carvers eased my conscience. 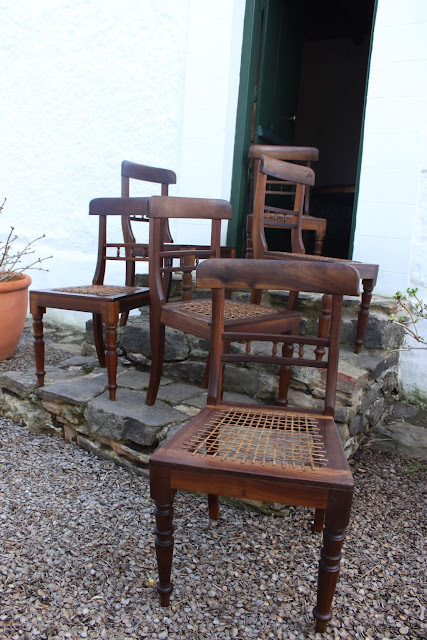 On our arrival, re-uniting the six side dining chairs and two carvers was a happy moment. They all looked like a re-united family. With the set of BW van Dyk dining chairs complete we could close the chapter on the fulfilment of another dream.The events that lead to the re-unification of the set seemed a design of the universe and we were merely the instruments acting out the plan. 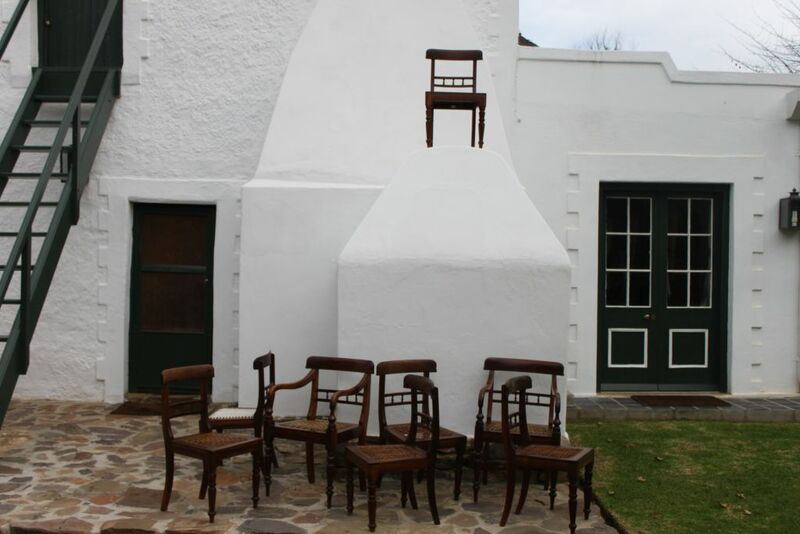 We learnt that the six chairs were bought on an auction in Louis Trichardt in the 1970’s. 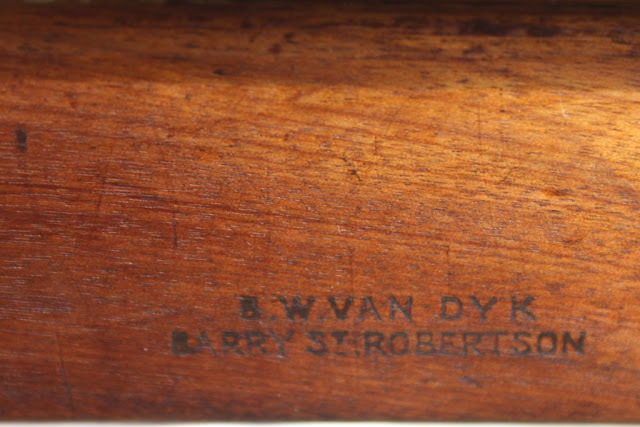 This made it even more possible that the two carvers Keith had found in Pretoria might have been part of a set that went with BW van Dyk when he moved to Winburg in the early 1900’s. Could it be, we asked ourselves, that the six side dining chairs were in fact the rest of the set. The complete set of B W van Dyk chairs. We are now the proud owners of a complete set of 8 stamped BW van Dyk dining chairs. 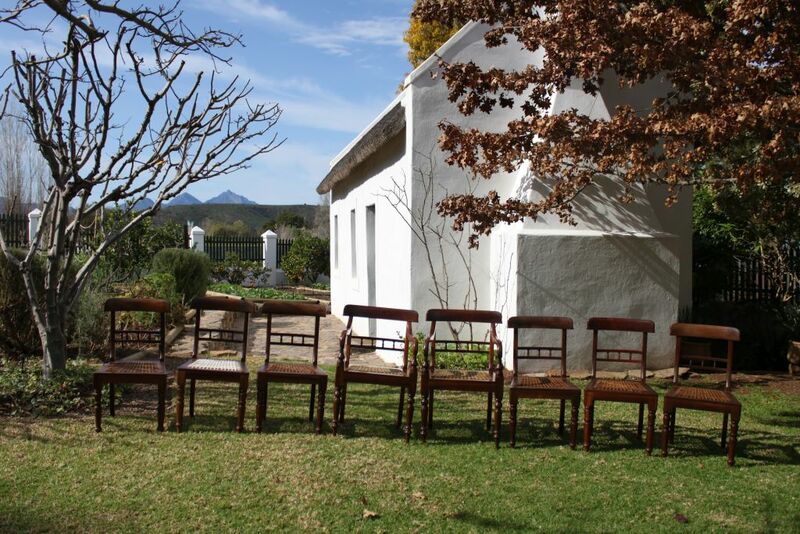 An amazing story, the re-unification of these BW van Dyk chairs.Thanks for the lovely images.